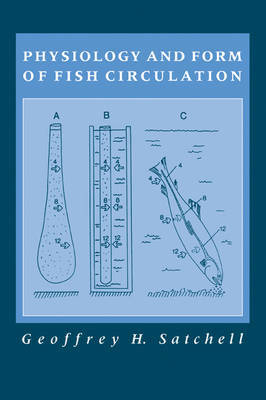 This book provides a clear and concise account of the physiology and form of the fish circulatory system. Emphasis is primarily placed on the function of the system although details of structure have been included. Following some revisionary ideas on haemodynamics, attention is focused on the heart as the primary pump in the fish circulatory system. The fine structure and the electrical and ionic myocytes are described and the major events of the cardiac system are outlined. This is followed by a description of the structure of the peripheral vessels and of circulation in certain special areas such as the gills, the renal portal system and the secondary blood system. Further chapters are devoted to the blood and the haemopoetic tissues and include an account of the different types of retial system that concentrate oxygen or heat in various parts of the body. This book is up-to-date, well-illustrated and written in a style comprehensible to anyone with a basic knowledge of the biological and physical sciences. Both undergraduate and graduate students of physiology, zoology and marine science will find this an invaluable reference text. Buy Physiology and Form of Fish Circulation by Geoffrey H. Satchell from Australia's Online Independent Bookstore, Boomerang Books.